Is your Corvette not running properly? 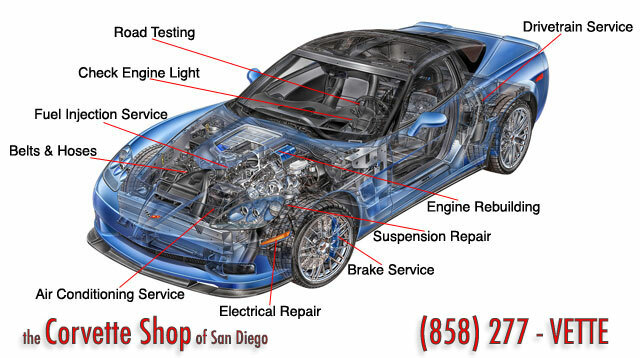 We take the hassle out of Vette repairs. 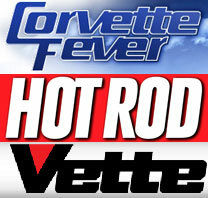 The Corvette Shop is dedicated to your Corvette repair and service needs. We service and repair all models of Corvettes, from solid axle C1s all the way to the modern, Ferrari killing 2013 Corvette ZR-1. Located in the heart of San Diego, we offer repair, restoration, and a comprehensive aftermarket and stock parts selection. With over 40 years combined experience working on Corvettes, the staff at the Corvette Shop will be more than able to assist you with vehicle repairs or servicing. We can even remove incorrect parts to make your Corvette "period correct." 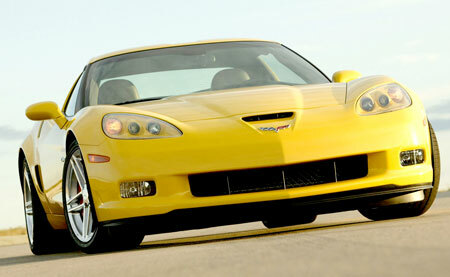 Call us today for worry free Corvette service and repair. An important caveat: I never actually went here for service. But a single phone call to the Corvette shop saved me $400 today, so needless to say, I am thrilled. The driver's side window of my ’85 vette was broken and Boulevard Automotive (generally a great shop) thought I needed a new window regulator, which they couldn't find for less than $430. I called a bunch of places and explained the problem, and no one was any help, until I called the Corvette Shop. The guy who answered the phone immediately said "it goes up halfway and then there’s a clicking noise? You don’t need a new regulator, you just need a new ribbon. MidAmerica sells it for $20.’ I called Boulevard back and asked them if it was just the ribbon that was broken, and they said yes, but that they had thought you couldn’t buy the ribbon separately. I bought the ribbon from MidAmerica and had it sent to Boulevard, and I saved $400 -- all because the man who answered the phone at the Corvette shop was insanely knowledgable. 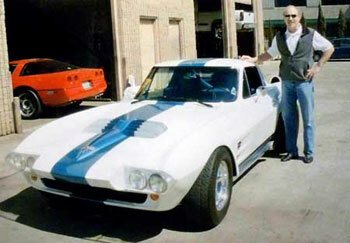 I still think Boulevard Automotive is a good shop, but from now on, I will take my corvette to the Corvette Shop first. Corvette Service You Can Trust.